The exterior of the new Jeep Cherokee also includes Jeep’s iconic vertical delineated front grille design, as well as a range of other standard and available features, including LED daytime running lights, dual chrome exhaust tips, 17- and 18-inch alloy wheels, and sporty roof rails for your trips into the mountains outside Beaverton, OR. 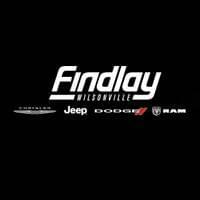 The new Jeep Cherokee is on sale now near Vancouver, WA at Findlay CJDR, your certified Jeep dealer at 25600 S.W. Parkway Center Drive in Wilsonville, OR. Contact us online or call us with any questions at (503) 498-6637. While you’re here, be sure to check out our Jeep Cherokee and the Jeep Grand Cherokee. 0 comment(s) so far on What Are the Available 2018 Jeep Cherokee Exterior Color Options?